Six years ago I was lamenting that there was little overlap between the people I see at genealogy conferences and those I see at genetic genealogy conferences. The overlap could be counted on my fingers—without using any fingers more than once! 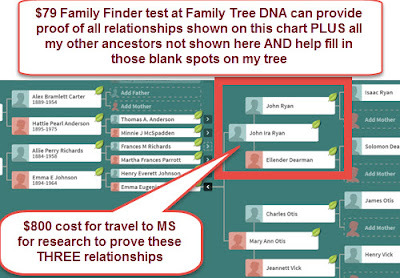 I could not understand why many of my genealogy friends did not see how powerful and important DNA test results are to solving our research problems. I could not understand why many of my genetic genealogy friends did not see the need for the Genealogical Proof Standard and thorough research. In 2012, I got to know CeCe Moore and Blaine T. Bettinger well enough to discuss this mystery. We decided what we needed first was more education in the community. Conference presentations are great, but what you can cover in an hour, or even four, is very limited. I sent CeCe and Blaine an outline for a week-long genetic genealogy course. We all collaborated on changes and additions. We then divided the course outline into thirds. We presented the first course in the summer of 2014 at the Genealogical Research Institute of Pittsburgh (GRIP) at the invitation of directors Elissa Scalise Powell and Deborah Lichtner Deal. The number of institute courses have exploded. The number of institute instructors has grown. Today, eight or more different week-long courses have been offered or are planned. The course at each institute is somewhat different than the similar-level course at another institute. Multiple two- to three-day courses focusing on specialties, such as adoption or forensic work, have been offered at the Council for the Advancement of Forensic Genealogy (CAFG) Forensic Genealogy Institute (FGI). Angie Bush joined the team for a period when the Salt Lake Institute of Genealogy (SLIG) decided to offer both beginner and advanced courses. Patti Lee Hobbs, CG, and Karen Stanbary, CG, joined the team as instructors at GRIP and IGHR. Debra Renard presented a case study and tools sessions at IGHR this year. Paul Woodbury is joining the SLIG team for 2017. The craving for genetic genealogy education is worldwide and spreads beyond the institutes. For several years before these U.S. institutes started, the U.K has hosted the "Who do You Think You Are? Live" event. Since 2013, there has been a Genetic Genealogy Ireland event. 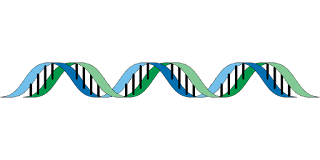 Since 2013, Southern California Genealogy Jamboree has offered a DNA Day pre-conference event in Burbank, California. 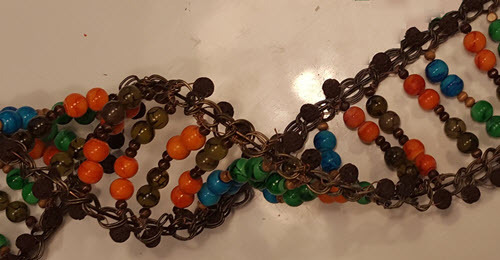 In 2014, the Institute for Genetic Genealogy (I4GG) offered their first two-day event focused on DNA. Many advanced sessions were offered. This year I4GG seems to be focusing more on basic adoption and unknown parentage research with a few advanced sessions. The University of Strathclyde in Scotland offers genetic genealogy courses. Blaine T. Bettinger teaches an online course at Excelsior College in the U.S. Debbie Parker Wayne developed the online, self-paced course Continuing Genealogical Studies: Autosomal DNA, offered by NGS. And there are an uncountable number of webinars and short courses available online. There have even been genetic genealogy cruises and tons of television shows! These brief statistics demonstrate how institute education in the U.S. on genetic genealogy has skyrocketed since July 2014. The genealogy community now understands the importance of genetic genealogy. I will be even happier when we get the genetic genealogy community to become more a part of the genealogy community. Maybe we will see more DNA speakers who are well-known on the "genetic side" invited to speak at the national genealogy conferences. Studying the Genealogy Standards3 and incorporating its concepts into your DNA presentations is a good start at showing you understand both "sides" of genealogy. It would be fabulous for us all to be one community instead of two, and for all of the conference planners to know who is good at both genetic genealogy and documentary genealogy. Both are needed to be a great genealogist, which is the goal for most of us. 1. 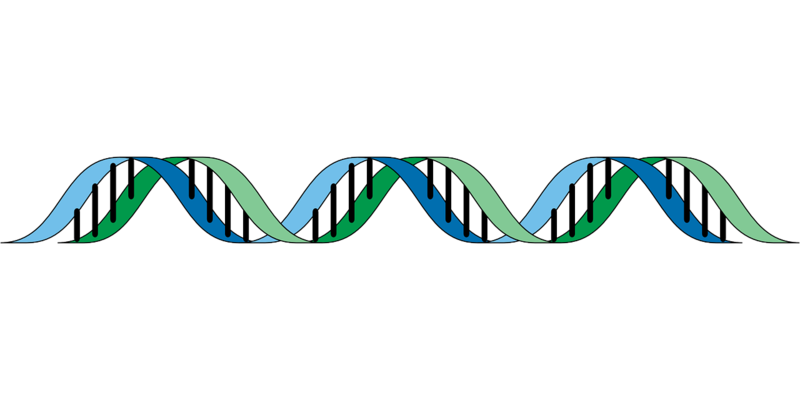 OpenClipartVectors, dna-148807_1280.png (https://pixabay.com/en/dna-gene-genetic-helix-rna-148807/ : accessed 26 December 2015). CC0 Public Domain. 2. 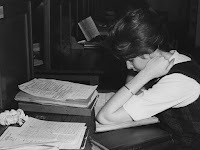 Fry Library, "Old Library, History Reading Room, 1964," digital image, Flickr Creative Commons (http://www.flickr.com/photos/lselibrary/3925726829/ : accessed 5 December 2011); Fry Library. Photograph taken during the making of a BBC documentary. 3. Board for Certification of Genealogists, Genealogy Standards, 50th anniversary ed. (Nashville, TN: Ancestry Imprint, Turner Publishing, 2014). Debbie Parker Wayne, "Bringing it Together: Genealogy and Genetic Genealogy," Deb's Delvings, 13 October 2016 (http://debsdelvings.blogspot.com/ : accessed [date]). I keep hearing people complain about the cost of DNA tests. People saying that we cannot champion using DNA for every genealogical relationship problem because researchers cannot afford it. My last research trip to the Mississippi Department of Archives and History (MDAH) and the Copiah County Clerk's Office cost me over $800 (gasoline for the car, six hotel nights, meals, photocopy costs because the MDAH still does not allow digital cameras) plus the loss of seven days time when I could have been doing client work or preparing for a DNA workshop. The $800 breaks down to about ten dollars per page for each photocopy I made. In my mind I may think those pages cost me only twenty-five cents each, but the real cost includes the travel costs. I am not even adding in the lost income. And I needed all of those pages, not just one or two, to prove my case to a reasonable level. On that trip I focused on proving the relationship between one man and his parents. My Family Finder test from Family Tree DNA (which now costs only $79) gave me much more definitive proof of the relationship I was trying to prove on that research trip. I have multiple cousins on my match list who confirm this relationship using a record that never lies or gets lost or destroyed—DNA. And the DNA test results also provide evidence for dozens and dozens of other relationships, not just the one I was focused on during my Mississippi trip. We need both the documentary evidence and the DNA evidence to prove most relationships. But the DNA information cost me a lot less here. We should consider the true cost of research, not the cost to photocopy one page or order one vital records certificate, when making our own cost benefit analysis as to whether a DNA test makes sense for us. Reasonably exhaustive research using DNA sometimes requires multiple targeted test-takers, but much of your tree can be confirmed by testing only yourself then using the trees and the shared DNA of those on your match list. For me, the DNA test has been well worth the cost, even priceless. 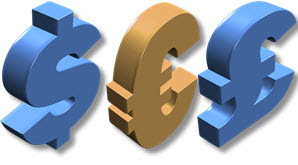 Debbie Parker Wayne, "Cost of DNA vs Documents," Deb's Delvings, 12 October 2016 (http://debsdelvings.blogspot.com/ : accessed [date]).